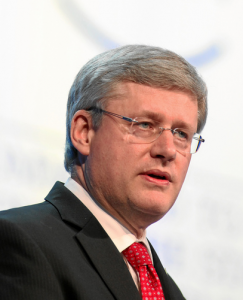 In an interview on Saturday with the Globe and Mail, Canada’s largest national newspaper, Prime Minister Stephen Harper expounded in length on his vision for Canada’s immigration programs. He told the Globe that competition for skilled international workers would heat up over the coming years, as “the demographic changes .. the aging population, start to bite, in many developed countries”. He trumpeted his government’s achievements in reforming what he called the old “passive pro-immigration policy” which “operated on receiving applications and processing them in order” and had left his government with “backlogs of hundreds and hundreds of thousands of applications”. Under the Conservative government, Citizenship and Immigration Canada (CIC) has legislatively wiped out the 280,000 application Federal Skilled Worker (FSW) program backlog, and frozen acceptance of new applications under both the FSW program and the Federal Immigrant Investor program as it re-designs the programs and reduces the backlogs. CIC has also suspended the parent and grandparent sponsorship programs and replaced them with a ‘Super Visa’ that allows foreign parents and grandparents of Canadian citizens and landed immigrants to visit Canada for up to ten years. A decision still has not been announced, however, it’s possible they will legislatively erase them like the pre-Feb.27th-2008 applications in the Federal Skilled Worker backlog. You can also look into a program like the BCPNP business program. If you need more information, please contact info@cicsimmigration.com.